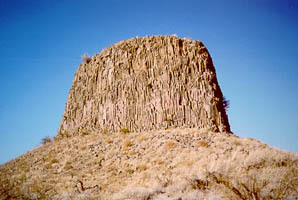 Hat Rock State Park is one of the few Lewis & Clark sites in eastern Oregon that has not been obliterated by dam construction. This peaceful stop on the shore of Lake Wallula contains a distinctive landmark that Clark noted on October 19, 1805: “a rock in a Lar’d bend resembling a hat.” Today the wildflowers and the pretty creek running through the park make this a beautiful spot to walk or just hang out, and you can go on a great hike around Hat Rock itself, a huge basaltic rock formation formed by ancient lava flows. The quiet getaway would have been anything but back in 1805. When most people think of Oregon and Washington, they think of the coastal rain forests. Yet huge portions are desert: dry steppe hills and basalt cliffs seemingly devoid of much life. Appearances can be deceiving, though. When Lewis and Clark came here, they found thousands of people living along the eastern portion of the Columbia River, a denser population of Indians than existed anywhere else in North America. 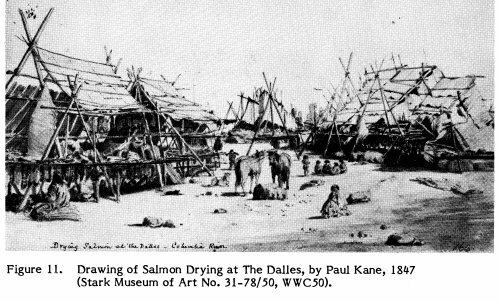 Both the banks of the river and islands were home to fishing village after fishing village, busy with ordinary people living in mat lodges and air-drying salmon by the thousands on scaffolds. The sights and smells were unlike anything Lewis and Clark had yet encountered. As for these Indians of the Upper Columbia, they had heard of white men through their trading network with the Clatsops and Chinooks on the coast, who had been trading with British and Russian sailing ships for some years. But they had never seen any and didn’t really know what to expect. Lewis and Clark were aware that their small party was very vulnerable in this situation. To smooth the way, they had hired two Nez Perce guides, Twisted Hair and Tetoharsky. 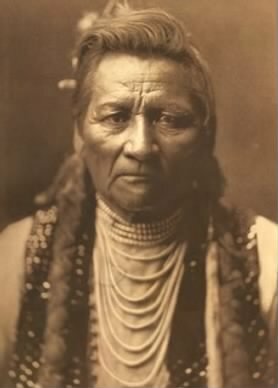 The Nez Perce acted as advance men, traveling several days ahead of the Corps of Discovery, meeting with chiefs along the way, and explaining that the white men wanted friendship, had fascinating baggage (not to mention beards, a black man, and a gigantic dog), and were willing to trade goods such as tobacco and woven clothing for food. Twisted Hair and Tetoharsky did a good job, and Indians came out in droves to visit with the white men or just to stare with intense curiosity at these visitors who might as well have been from another planet. Lewis’s journals for this period have been lost (or never existed), but Clark writes of interviewing the people over a friendly pot of salmon stew, learning about the rapids and waterfalls to come and encountering a people with unusual equality between the sexes and a notable respect for the wisdom of the aged. The Indians were friendly and willing to help; one man even made the explorers a charcoal-on-skin map on which he recorded the towns and villages that the Corps could expect to find. During this period of time, the Corps was meeting Indians on a daily basis, but a few encounters stood out. Near Hat Rock, Lewis and Clark received an early morning visit from Chief Yelleppit of the Walla Wallas (or Walulas). Clark recorded that Yelleppit was “a bold handsom Indian, with a dignified countenance about 35 years of age, about 5 feet 8 inches high and well perpotiond.” Yelleppit had brought a basket of mashed berries as a gesture of friendship, and Lewis and Clark spent several hours with the chief, presenting him with a Jefferson peace medal. The 20 Walla Walla warriors who had accompanied him to the camp got gifts such as handkerchiefs and strings of wampum. with a pipe in my hand entered a lodge which was the nearest to me found 32 persons men, women and a few children Setting permiscuesly in the Lodg, in the greatest agutation, Some crying and ringing there hands, others hanging their heads. Puzzled and dismayed by the Indians’ terror, Clark handed out tobacco and other small presents to try to win them over. 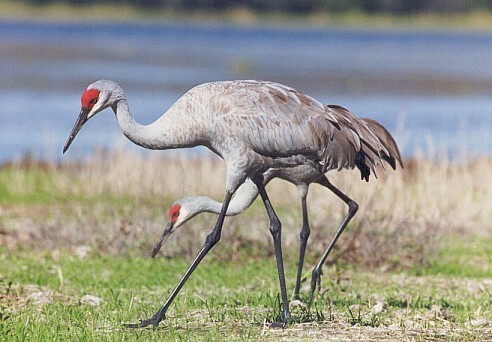 A little later, with the help of Twisted Hair, Tetoharsky, and Sacagawea, the Indians were able to explain that they had witnessed Clark shoot a sandhill crane out of the sky earlier in the day. Never having seen or heard a gun, they thought that Lewis and Clark were sky gods who had come down from the clouds. It must have come as a great relief to learn that they were fellow human beings, however strange. Perhaps a little embarrassed, the Indians gave the Corps a welcome gift of scarce firewood. In April 1806, on the way back, the Corps met up again with Yelleppit, and the chief finally had the chance to show off some good old-fashioned Walla Walla hospitality. The explorers had spent a fairly miserable winter on the Pacific coast, trapped inside their fort by rain, alienated from the coastal Indians, and bored out of their skulls. They were glad to be on the road again and glad to see friendly faces. For his part, Yelleppit seemed determined to get a good review on TripAdvisor. He brought out firewood and roasted fish, presented Clark with a beautiful white horse, and offered food, horses, and canoes for trade. When a hundred Yakima Indians showed up ready to party, Lewis and Clark realized that Yelleppit had staked a good deal of his own political capital on being the man who brought the region into the American trade network that was sure to follow in the wake of the explorers. In other words, European goods were scarce and extremely valuable; like any good mayor, Yelleppit was prepared to offer incentives to get the business. With Sacagawea and a female Shoshone prisoner of the Walla Wallas acting as interpreters, Lewis and Clark took the time to hear the chief out, and promised that he would not be left out of the bounty to follow. Unable to spare the copper kettle Yelleppit asked for to cement the deal, Clark presented the chief with his own sword, along with gunpowder and a hundred musket balls. The Yelleppit peace medal, front and back. Oregon Historical Society, OrHi 100141 and OrHi 100142. Not much is known about Yelleppit outside of the Lewis and Clark journals, not even his name. As it turns out, “Yelept” means blood brother in Nez Perce and was probably the nickname given the chief by Lewis and Clark’s Nez Perce guides. But the evidence of his friendship with Lewis & Clark survives. In the 1890s, railroad men working near Wallula were poking through Indian graves on an island and found a broken, battered Jefferson peace medal with one of the bodies. It seems all but certain that this was Yelleppit’s medal. It can be seen today at the Oregon Historical Society. Yelleppit’s dream of friendship and prosperity was never to be. Terrible epidemics would decimate the people of the Upper Columbia, and under the terms of an 1855 treaty the Walla Walla, Umatilla, and Cayuse people moved to a reservation, opening their native lands up for settlement by whites. The dismal litany of injustices and cultural and economic devastation ensued. One of the unique rights that these people had to constantly fight for was the right to fish in their traditional places. In the 1970s, the Columbia River Intertribal Fish Commission was formed to deal with the major issues that continued regarding Indian treaties and fishing rights. When we were in the Hat Rock area, we saw some Indians fishing along the banks of the river, undoubtedly the descendants of those who helped Lewis and Clark. To see some beautiful photographs of the Columbia River Plateau and of Hat Rock, visit The Columbia River: A Photographic Journey. Wow! My hometown is featured by Frances Hunter! What an honor! Thank you for such an interesting post. Last year I volunteered as an interpretive center host at the Sacajawea State Park in Pasco, Washington. Traveling twice a month from Hermiston to Pasco along the Columbia allowed me to see both Hat Rock and the Two Sisters frequently. The state park at Pasco is sited at one of the Expedition’s campsites where they stayed for about three days. Milt, we sure loved visiting your area. We didn’t get to stay nearly long enough and didn’t make it to the Pasco State Park. There is so much more in your neck of the woods that I want to see! That was a great Post, I live in Walla Walla just a few hundred yards from where the Oregon trail is/was on the West end of town by Mill creek. makes me wonder what it was like here in the days Before Lewis & Clark.. awesome job!